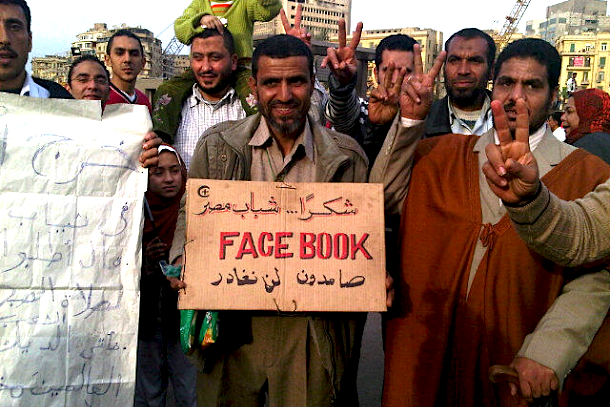 Facebook likes to think of itself as more than just a social network — founder Mark Zuckerberg and COO Sheryl Sandberg often talk about how the site has helped drive political change in countries like Egypt during the Arab Spring. But what the company doesn’t like to talk about quite as much is the growing amount of content it removes on behalf of repressive governments in countries like Pakistan and Turkey. According to a recent report by Motherboard magazine, the number of removal demands from Pakistan in particular has exploded in the past year or so: in the second half of last year, Facebook removed a total of just 162 posts in that country — but in the first six months of this year, the company took down more than 1,770 posts. Why such a large increase? All Facebook would say is that it got a lot more demands from Pakistan’s telecommunication authorities to take down what they referred to as “illegal content.” But were all of these demands valid? We have no way of knowing, because Facebook doesn’t provide enough information to come to a conclusion. It just says what it did, not why. Like many Silicon Valley companies, Facebook keeps track of content removal requests in its so-called “transparency report,” which lists the demands it has gotten from various countries. However, unlike the reports filed by Google and Twitter, the Facebook version doesn’t include the actual documents that were presented asking for removal, and so it’s impossible to determine whether the demands were actually justified. One reason for the increase could be that Facebook is seen as an easy target: if it just takes down anything a government asks it to, without putting up any kind of fight, then it’s not surprising that a country would continue asking, or even accelerate its demands. As the Motherboard piece notes, Twitter got just 12 removal requests from Pakistan during the same period, according to its transparency report — and it didn’t remove any of them. In fact, in one case the company reversed an earlier decision to block “blasphemous tweets” that were reported by the authorities, after Twitter said the government failed to provide any information supporting the request. Pakistani advocacy groups say that some senior members of the government telecommunications agency have boasted in court about the “arrangement” they have with Facebook, where they can have any “undesirable” content they wish blocked or removed. Twitter, however, is notorious for fighting such demands, which probably makes it seem like less of a soft touch. According to Motherboard, a law firm that looked at the issue of online content in Pakistan came to the conclusion that removing content from a social network like Facebook might not even be legally required, because Pakistani law — like U.S. law — doesn’t hold network service providers responsible for the actions of their users. One civil liberties group said this more or less confirms that Facebook is “overly compliant,” even when the law is on their side. All the talk about free speech is a sham with FB. To compare them to Twitter or Google is an insult.